It's June 27 and the National Hot Dog Month Tour is set to begin! Drew Bennet (from the Benspark blog) and myself will be touring four New England States eating a hot dog a day at a different venue each day in July. 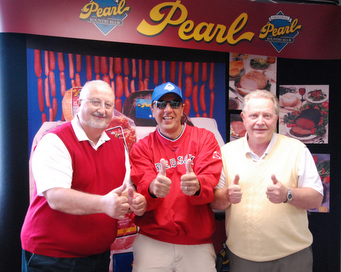 We kick started the tour today by visiting Pearl Meats in Randolph, MA. Business owners Bob Camelio and Marshall "Buddy" Lazaro gave us a tour of the facility and showed us what goes into their hot dogs. The real fun begins on July 1 when I will eat the first hot dog of the tour at the stroke of midnight at Fenway Sausage Works in New Bedford, MA. From there, we'll be all over the place! Here is a list of stops we plan to make throughout the month. While we will try to adhere to this schedule, weather may alter it over the course of July (we don't want to eat at a hot dog cart in a thunderstorm). 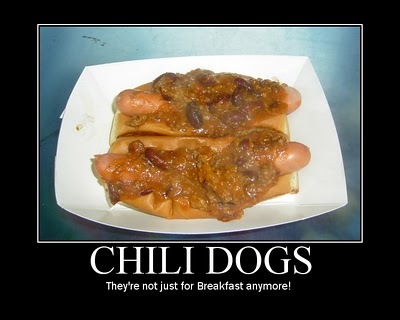 If you want to know exactly where we'll be, follow me on Twitter Follow @Hotdogman1964 or go "like" Hot Dog Stories on Facebook. As always, videos of each day's visit will be posted on Hot Dog Stories dot com. There you have it folks, the 2012 National Hot Dog Month Tour! Make sure you check in to be sure where we'll be. Last year, the schedule changed several times for a variety of reasons.